We cannot claim to provide excellent customer service by following the rules and regulations while serving sarcastically and arrogantly. The first thing to remember, a customer is considered indirectly as your boss because you receive a salary through his purchases, bearing in mind that one day you might also be a simple passenger who expected to have good services as a passenger. So, the cabin crew occupies a unique position to promote or dissolve the reputation of an airline based on its customer service. The flight attendants service aboard an aircraft in other term cabin services begins when a passenger boards the aircraft, and it ends when he disembarks. Services should not be limited to meal service even though the airline is a low-cost. Passengers expect the cabin crew (flight attendant / Steward) to be technically competent and the only thing they notice is the attitude of the flight attendant to their work and each customer during the flight. However, the personal touch is the most important. “Humans Serving Humans”. Make it an experience they will never forget. 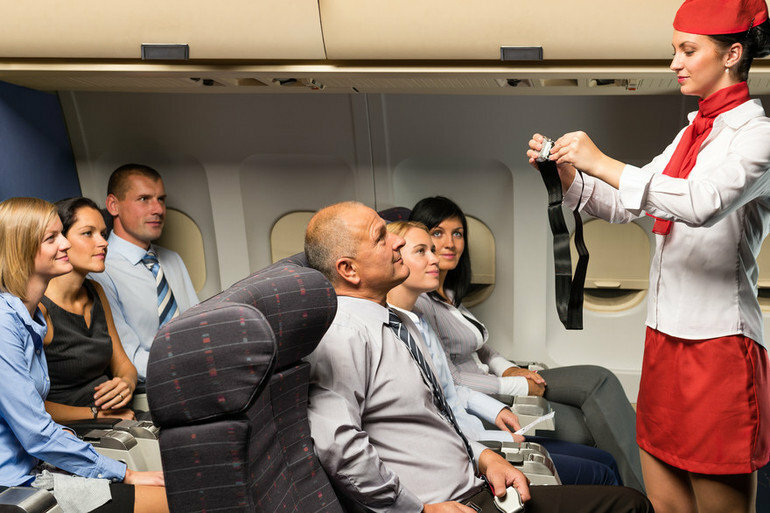 Your ultimate goal of onboard service is to encourage all passengers to travel again on the airline. Although, in-flight service is a complete experience that a customer can experience from the moment of embarkation until the time of disembarkation. On the other hand, flight service refers to contact and customer care. The procedures are designed to ensure that each passenger of an airline receives the highest level of professional service delivered by the cabin crew during each flight. Be welcomed on each flight by a cheerful, welcoming and smiling cabin crew that will guide them as well to their assigned seats. To have onboard assistance as much as possible. To hear clear and audible announcements. To be offered drinks, meals and other services professionally and courteously. To travel in a tidy environment at all times. To have an alternative solution to their non-accomplished request. To have answers to queries and, which must be politely and helpfully. To receive assistance and special care of children whenever possible. Remember, that small children may be the future customers for an airline. To be treated with all considerations and courtesy at all times. To receive a welcoming attitude at all times. To be reassured by careful attention to the details of the cabin crew on all safety issues. To be informed of delays, misappropriations and reasons for these events as well to receive a friendly farewell when leaving the plane. It is as important as a warm welcome. Cabin crew must ensure that the special needs of the passenger safely transmitted to the ground service agents. Finally, keep in mind the above instructions are simply some guidelines to help achieve the goal of perfect service. Great article and informative for newbies.